As you probably know, The Scuba News is proud to be a sponsor and supporter of the Friends for Sharks project, which aims to raise awareness of marine conservation issues around the world. 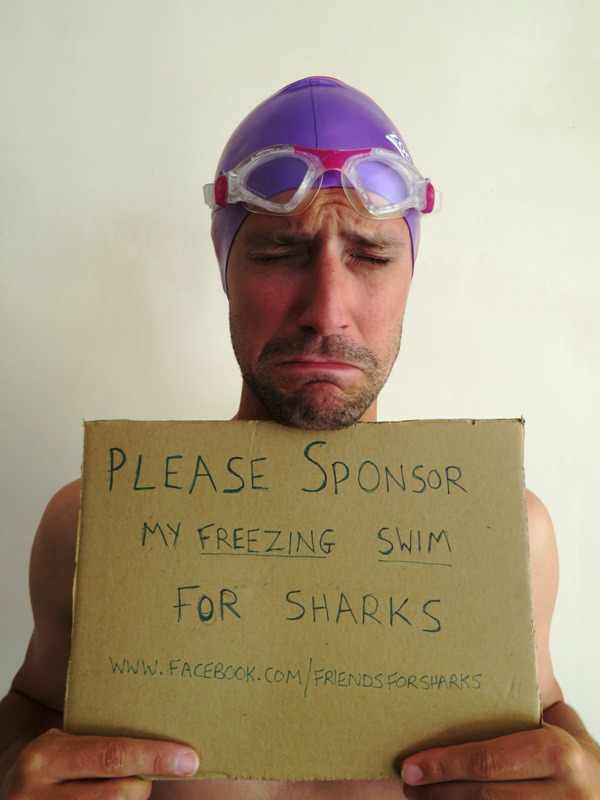 Well Nicholas Curzon from Friends for Sharks will be doing something a little bit different to raise awareness and funds for the campaign and we certainly think it is an idea that is worth sharing. On New Years Day 2015 Nicholas will be undertaking a sponsored swim and whilst this does not sound too difficult, the exact nature of the swim leaves us feeling a little bit chilly. The sponsored swim will be taking place in the UK on New Years Day (already feeling cold?) and what makes this swim remarkable is that Nicholas will be doing this in Padstow Harbour, wearing nothing but swimming shorts, a rash vest and diving hood!! Obviously, we wish Nicholas every success and look forward to publishing some photos for you when it happens!